Check out 10 of the best portfolio redesigns made in Webflow for the May 1st Reboot! 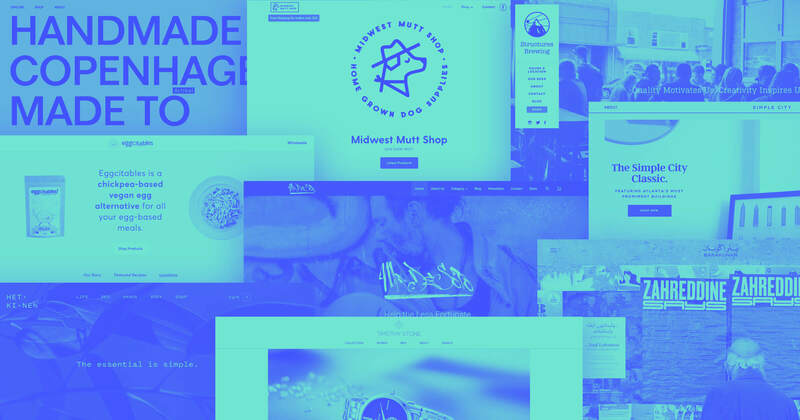 Every year, designers worldwide mark their calendars for May 1st — not because it’s May Day, but because it’s time for the May 1 Reboot, when thousands of designers relaunch their personal/portfolio websites! For many, it serves as a much-needed reminder to not let that key personal branding element languish, presenting a dated design aesthetic and stale projects to the world. It’s not hard to understand why so many of (myself definitely included) don’t regularly update our portfolio sites, but it can be a mistake — especially if you freelance. This year, several Webflow-using designers decided to take up the May 1st Reboot challenge. Here are 10 of the best we came across. No bones about it: Aaron Grieve is a fantastic designer. We’ve featured his previous portfolio design in past articles, but he really brought his A-game to 2017’s May 1st Reboot. Aaron keeps the overall aesthetic simple and straightforward, but adds a lot of personal flourishes with bright, bold colors and and expressive typography. 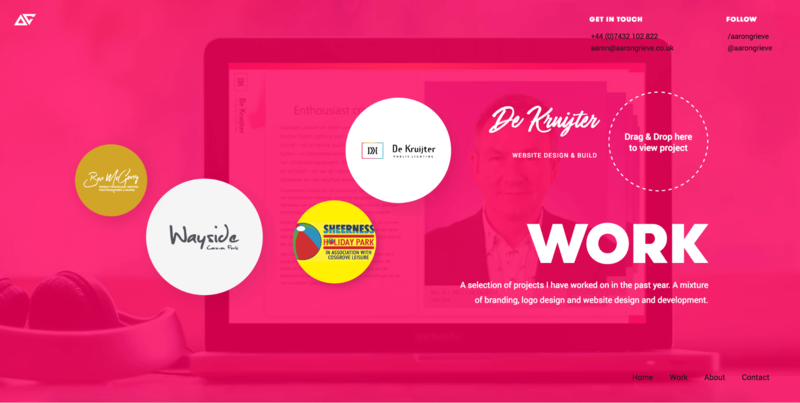 On his Work page, a smart hover effect teases what you’ll see on an individual project page. 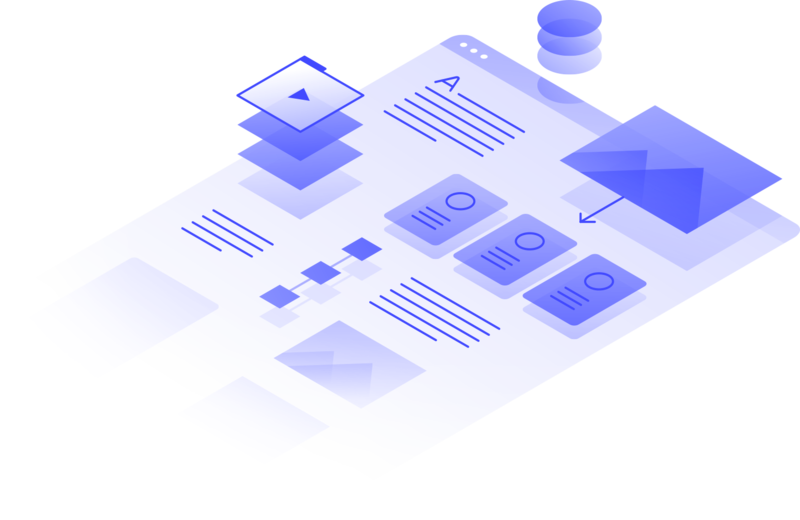 But in contrast to the simplicity of the site’s aesthetic, there’s a uniquely high-friction interaction model at play — to enter an individual project page, you have to drag and drop the corresponding circle into a particular location on the page. 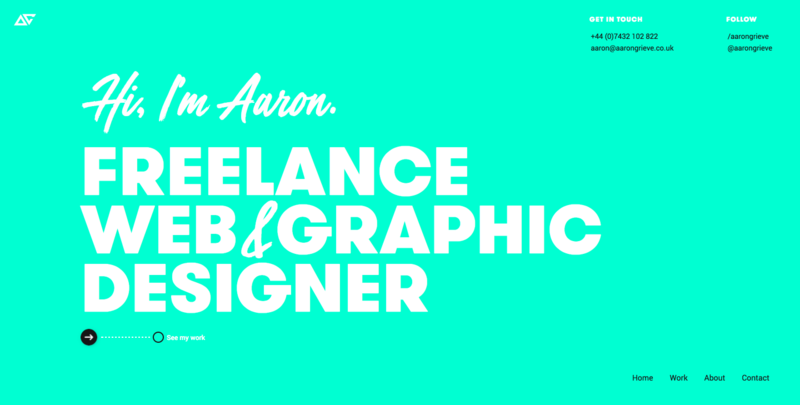 It’s an intriguing choice, but overall, Aaron’s really knocked his portfolio website out of the park here. Readers of the Webflow blog and frequenters of our Forum know Vincent Bidaux’s work with Webflow quite well. He’s basically a walking encyclopedia of what you can do with Webflow (and occasionally, a little custom code), and his blog inb4.webflow enshrines a mix of incredibly useful Webflow tips and selected projects he’s built with Webflow — the latter typically showing you how to pull off some surprisingly powerful deliverables with our platform. The HTML5 Robot being a partcular favorite. Vincent has built a fantastic resource for everyone who uses Webflow. In keeping with Vincent’s encyclopedic wisdom, his blog is straightforward and informative, focusing more on the content than any visual fanciness. Like Aaron Grieve above, Josh Overton’s design work has found its way into showcases here on the Webflow Blog more than once — a fact he proudly lists in the About Me section at the bottom of his site (thanks, Josh!). From the lushly organic cinemagraph in the hero to the delightful rollovers on his fixed sidebar nav, Overton’s site is packed with lovingly wrought details — including the deep dives into his project work. Always nice to hear a bit of the design thinking behind those pixel-perfect designs! Illustrator and UX/product designer Vanessa Colina may have taken a page from the Wider Webflow template, but she’s certainly made it her own by stripping away some of the more elaborate design elements, helping the visitor focus in on her work. On her individual project pages, Colina keeps things simple again, typically preferring to drive you over to the site or product in question rather than walk you through her thought process. I’m sure there are more than a few hiring managers out there who’ll thank her for that. 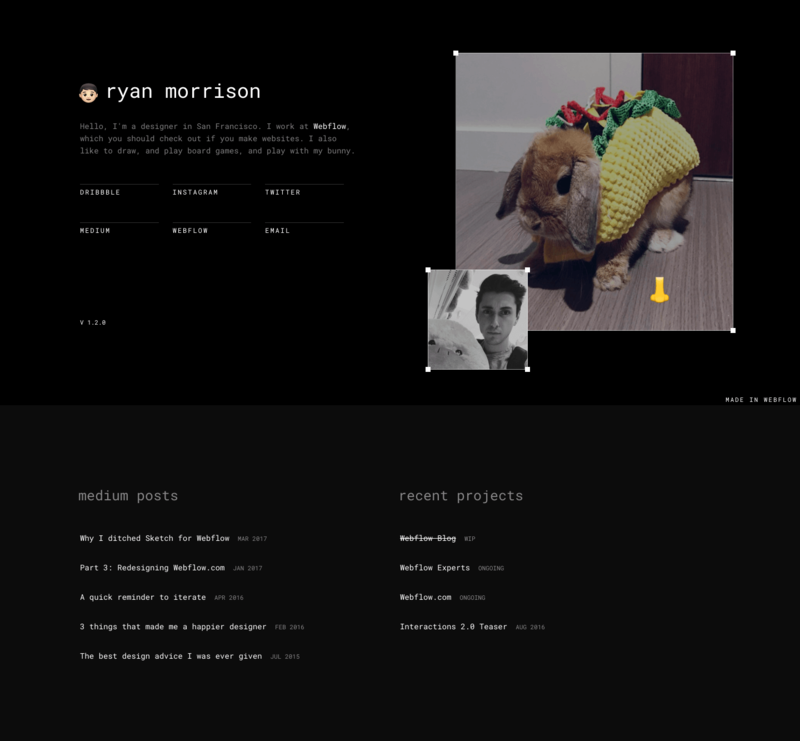 If you’re not familiar with Ryan Morrison yet, you’re probably aware of his work — after all, he was the mastermind behind the design aspects of our late-2016 reboot of the Webflow site. Even though he’s a (very) talented illustrator, Ryan took a stripped-down approach to his reboot, limiting it to a quick intro, links to his latest writings, and a few key pieces of design — then throwing in a little fun with draggable images. My site only needs to do a couple things. For one, it needs to reflect who I am, which — if nothing else — I think it does well. No need to make things too serious. As far as content goes, it really just needs to point to where else I appear around the interwebs which I think are the most relevant to those that visit the website. It may come to a surprise, though, that my favorite part of the site is the little version number. This is a reminder that the site is going to change as I grow in my career, which takes a lot of pressure off. 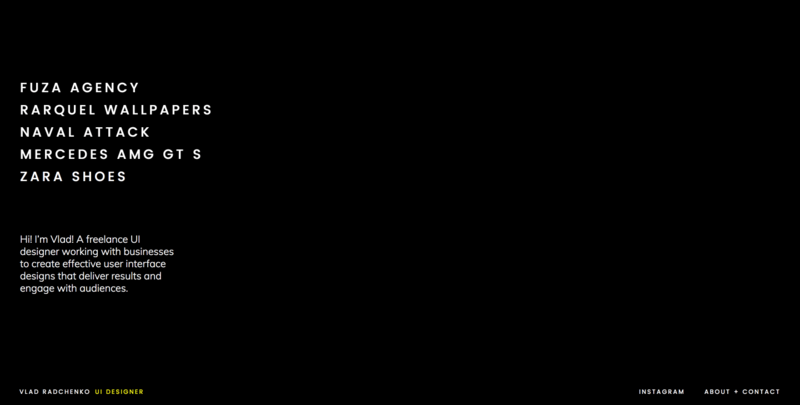 Webflow Community Expert Vlad Radchenko makes the most of his sophisticated, elegant style with short bits of white text set against wide expanses of deep black. At first glance, the homepage is quite plain, but a mouse hover over the project list reveals a fullscreen background image for each portfolio item. And when you dive into an individual project, you’re met with a rigorous but playful grid filled with a mix of large images and short, almost telegraphic lines of copy explaining his design thinking. Overall, it’s a lovely, immersive experience that’s sure to land Vlad some great clients. Nice work! Barrett Johnson, our product marketing manager, went all-in on the super-simple “portfolio as link list” approach to portfolio design, offering a quick intro to who he is and where you can find him — tossing in some very cool effects on his links in the bargain. Clément Jonckheere's portfolio reboot offers an experience of delightful simplicity. He describes his own work as clean and efficient, and if his personal site is any indication (which, of course, it is!) he’s got a pretty accurate sense of self. Next up is our own Waldo Broodryk, leader of our hard-working support team (and owner of one of the best domain names out there). Like Vincent, Waldo’s a Webflow wiz kid — and he handles my almost incessant peppering of questions with impressive aplomb, and even more enthusiasm. Like Barrett and Ryan (man, is this a theme at Webflow? 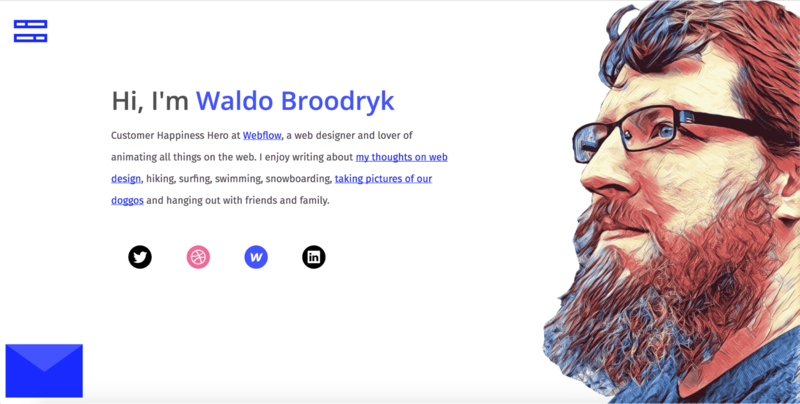 ), Waldo limits himself to a quick intro paragraph, links to places where you can see his work, and — since he’s a freelancer too — an intriguingly designed form to attract clients. 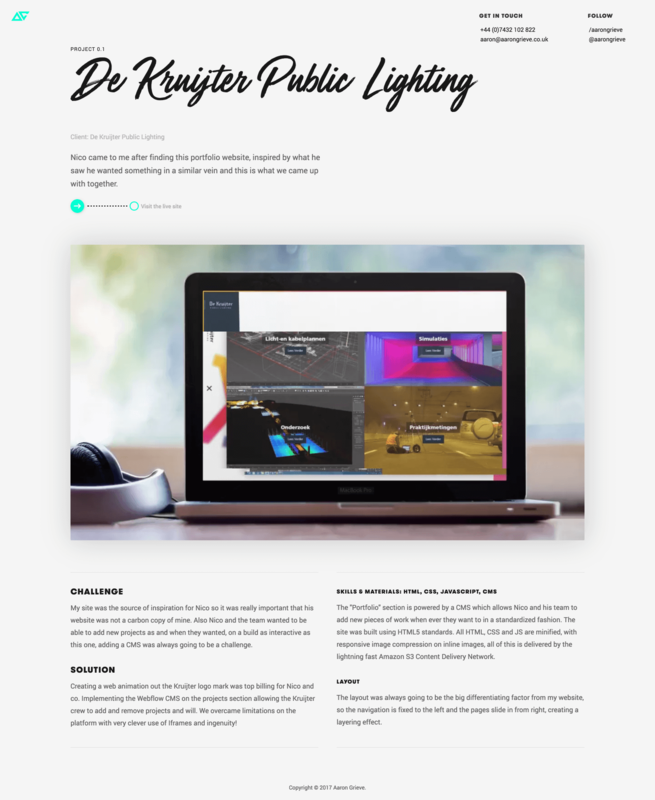 My old site design felt like it was far behind modern web design, and desperately needed a refresh to communicate my current status. I also wanted to include a photo of myself to bring in the human factor on the site. I spent about an hour on the re-design and was very happy with the result. My personal favorite element is, of course, the thoughtful portrait on screen right. Nice work, Waldo! 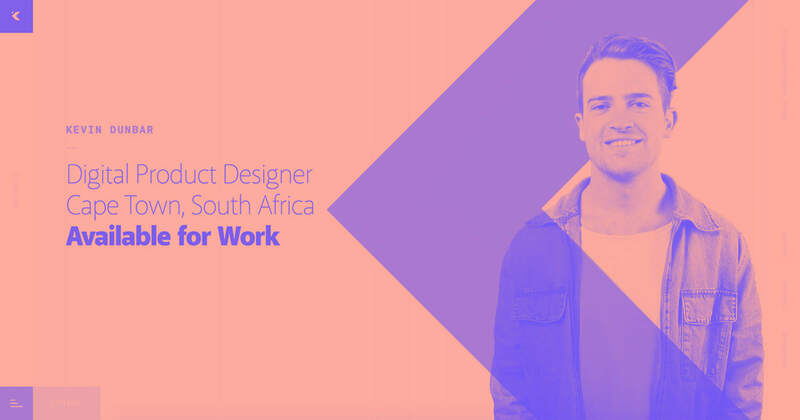 Web and UI designer Matt Dalby gets that your portfolio shouldn’t be everything you’ve done — just the best stuff you’ve done. In 4 simple, fullscreen sections he introduces you first to him, and then to three projects that show his range, including a mobile app brand and UI design project, a website design, and a website redesign. The individual project pages focus on big, immersive visuals, offering little to no additional detail, and (oddly) don’t link off to the projects, but it remains a solid entry in this year’s reboot festivities. Did you reboot — or miss the deadline? If you rebooted and we missed it, feel free to share a link in the comments below (though note that we have to manually approve comments with links, so your contribution won’t show up immediately). And if you didn’t make the deadline, no worries. Every day of the year offers a great time to redesign and relaunch your website. And maybe next time, Webflow will help you speed up the process so you’re right on time.